Here at McKinlay Kidd, we’ve spent the last 15 years uncovering the best of Britain and Ireland, so that you can get on with discovering and enjoying the unbeaten paths and highlights around Scotland, Ireland, England and Wales. This holiday is a culmination of the thousands of miles we’ve spent on the road, in the air and on the sea, finding those hidden-gem places to stay, from castles to beachfront guest houses. We’ve included days out with gregarious guides so you really get to know the local culture as well as seeing the local sights. What’s more, you’ll enjoy some of the extraordinary experiences we know our customers love – from boat trips to champagne picnics, steam train journeys to the freshest seafood delicacies. It’s a whirlwind trip, packing our 15 years of tailor-making holidays into 15 nights of the best of Britain and Ireland. Nevertheless, the break is carefully-designed to ensure the overnight stays offer amply opportunity to relax, unwind and be pampered. Of course, we can easily extend it for a slower pace of travel should you wish or tweak it to cut down on driving times – simply let us know. ...extend your trip to include time in Belfast, Edinburgh or York? Begin your trip with a flight from London or Manchester to Belfast (just let us know if you would prefer an alternative) and collect your rental car. 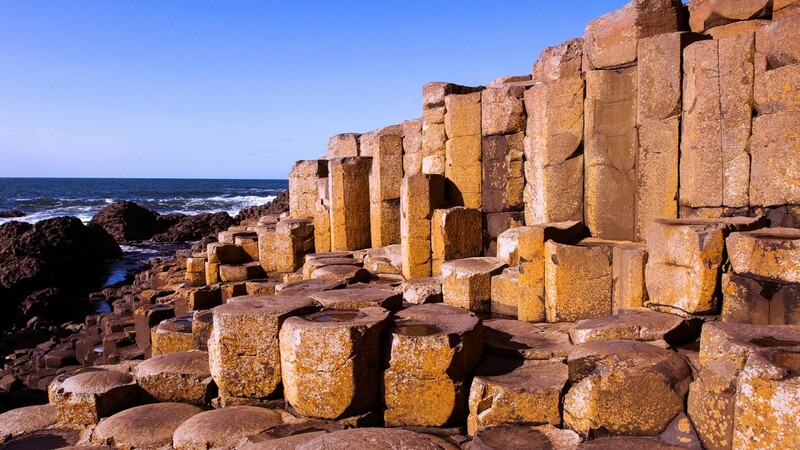 Before you know it, you’ll be heading off on the winding, twisting coastal roads of Country Antrim as you make your way north to the Causeway Coast. 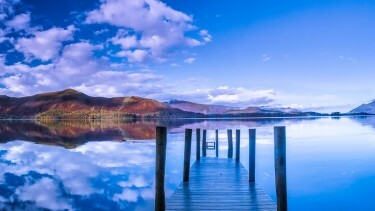 Along the way you’ll see some of the UK’s most arresting vistas, with sandy beaches, intimidating rocky coastline and soaring mountains, not to mention the cutest of towns and villages. Stop off at the legendary Giant’s Causeway, visit spectacular Dunluce Castle or brave the rope-bridge crossing high above the swirling sea at Carrick-a-Rede. Set directly on the beach at Portstewart Strand, offering some of the finest views available anywhere on the island of Ireland, to Mussenden Temple, Donegal and beyond, your accommodation in Portstewart is one of our recently discovered favourites. The warmest of welcomes combines with a fine breakfast, clean, modern design throughout and direct access to the golden sands, home to a destination seafood restaurant. Today, head for the town of Ballycastle, setting-off point for the six-mile ferry-crossing to Rathlin Island. 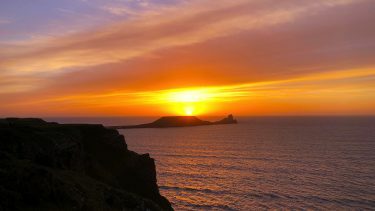 Your friendly and knowledgeable local guide will take you on the ‘Puffin Bus’, climbing the narrow hairpins of the island to the ‘Upside-Down Lighthouse’, not only a fascinating museum and engineering marvel, but also an RSPB reserve. From here you’ll have a terrific view of the abundant birdlife that makes this part of the island its home – not to mention the island of Islay on a clear day. 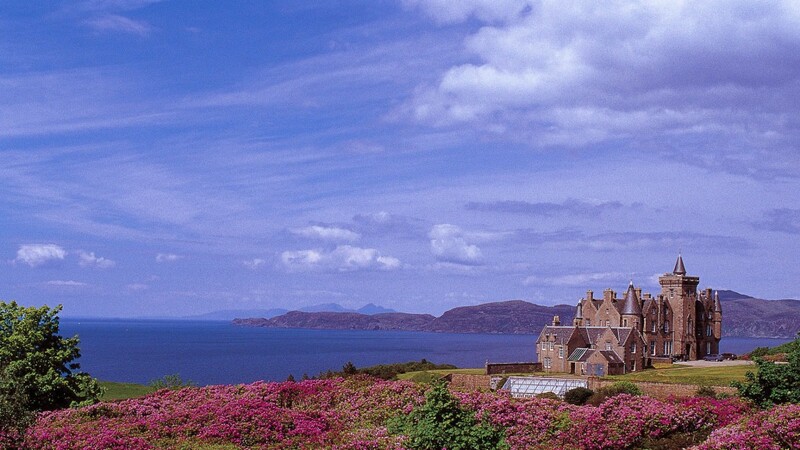 Later, enjoy lunch in the island hotel, then walk it off with a jaunt to the eastern side of the island, where you may see Scotland’s Mull of Kintyre in the distance. This morning, head off on a 130-mile trip into the Irish Republic, maybe stopping off in the fascinating and welcoming walled city of Derry-Londonderry on the way. 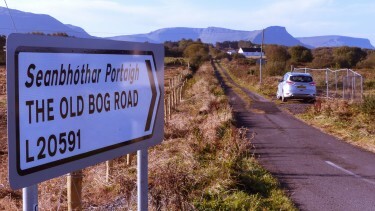 Later, drop further south past the Barnesmore Bog and Lough Eske and through the city of Donegal. Perhaps take a detour to the magnificent cliffs of Slieve League – some of the highest in Europe. 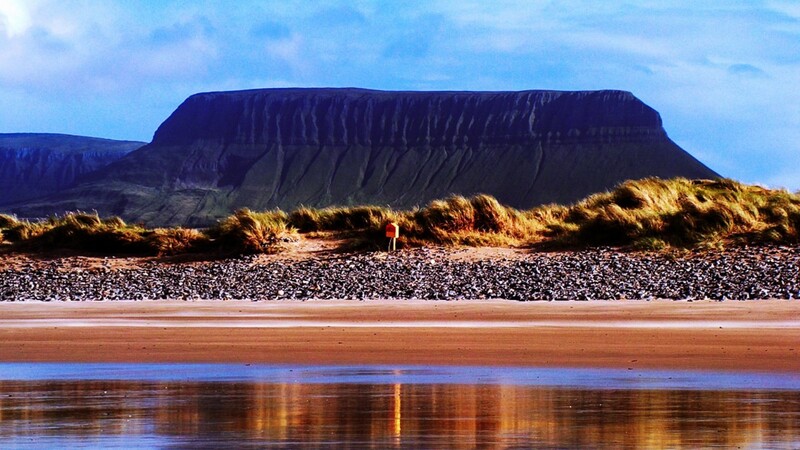 Revel in this picturesque stretch of the Wild Atlantic Way as you make your way to your country house hotel in Co Sligo. Inhabited by the same family for eight generations, your accommodation in Co Sligo is one of Ireland’s oldest continuously-owned private homes. Set on some 500 acres of private estate land, the family continues its hands-on work here, farming and managing a herd of deer. Several of the individually-decorated rooms feature sumptuous four-poster beds. Downstairs, you’ll find guest lounges filled with period furniture and a dining room whose vast dark-oak table, laid with silver cutlery, contributes to the convivial atmosphere throughout. 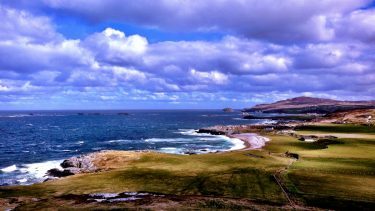 Heading south and west from Co Sligo this morning, we’d recommend taking the coast roads of Ireland’s acclaimed touring route, the Wild Atlantic Way, firstly in to Co Mayo for the Mullet peninsula, Achill Island and the colourful town of Westport, then onwards to breath-taking Connemara. Skirt the city of Galway before reaching your destination of Ballyvaughan in Co Clare, amidst the mystical limestone-pavement landscape of the Burren. Set quite spectacularly deep within the Burren, your hotel in Ballyvaughan styles itself a ‘gourmet retreat,’ and exudes an unhurried air of comfort and tranquillity. The 18th-century manor house is home to its own extensive and lovingly attended gardens, where guests are free to roam. 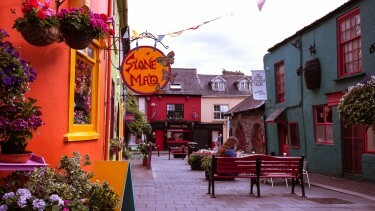 Inside you’ll find arresting decoration, modern and traditional art, crackling open fires, and rooms – many of which afford views of Galway Bay – adorned with fresh garden flowers. All of this without mentioning the warm Irish welcome and outstanding service in the award-winning, fine-dining restaurant. 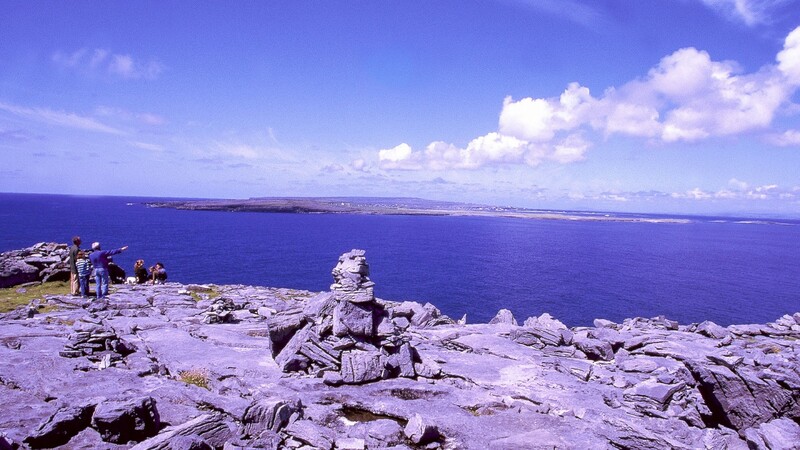 The mysterious landscape of the Burren is one of Europe’s most misunderstood geological features. A vast limestone pavement covering some 100 square miles, riven with deep fissures and home to unique flora and fauna, it’s an endlessly fascinating place. This morning you’ll enjoy a guided walk here as part of a small group, with our specially chosen local guide, a native of the Burren, who’s spent a lifetime studying its every facet, from the geology and ecology through to the work that continues here in study and preservation. Return to Ballvaughan for a second night in your elegant hotel. It’s just a short drive this morning to Shannon Airport (home of the Irish Coffee!) to catch your flight to Edinburgh. 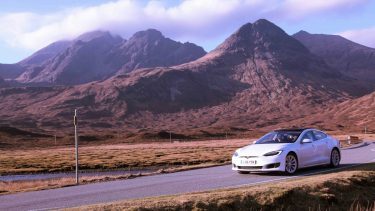 Once there, collect your next rental car and enjoy a drive through classic Scottish scenery. 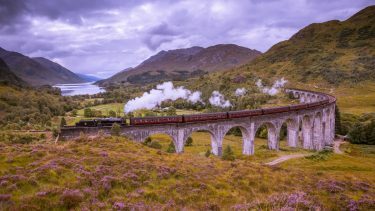 Pass the historic city of Stirling (perhaps stopping off to see the castle – one of Scotland’s best), travel through the verdant Trossachs, cross bleak Rannoch Moor and enter the intimidating mountain landscape of Glencoe. 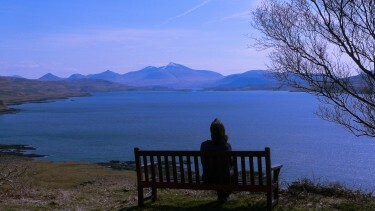 Eventually you will arrive at a placid and peaceful spot on the west coast of Argyll. Once home to the Pier Master here on the shores of Loch Linnhe, this award-winning seafood restaurant and hotel is a perfect spot in which to lose yourself in the overwhelming beauty of this corner of Scotland. Awe-inspiring views across to the island of Lismore are accompanied by an atmosphere of stillness rarely found in the modern world. The restaurant serves only the finest local and seasonal produce, including oysters, Loch Linnhe mussels and langoustines, and lobster and crab from nearby Loch Etive. This morning you’re heading for the classic Scottish port of Oban to catch your ferry to one of our favourite islands. 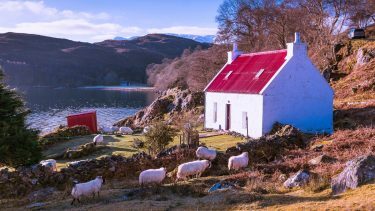 Mull is a wonderful place, the second-largest of the Inner Hebrides, home to world-class walking and abundant wildlife including whales, dolphins, otters and sea eagles. 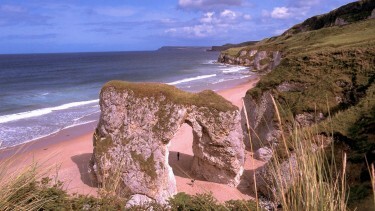 You’ll find white sandy beaches, millennia of history including standing stones, ancient churches and unique geology. 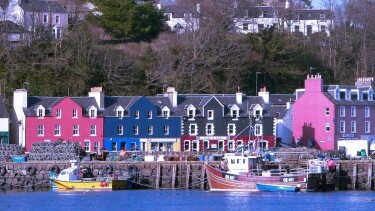 The capital, Tobermory, is famous for its brightly painted houses along the harbour-front – possibly the prettiest of all island settlements. Who hasn’t dreamt of staying in a romantic Scottish castle, replete with every nook, cranny and turret you can imagine, not to mention superb sea-views in which to wallow for hours on end? Well, dream no more. You are welcomed as a special guest to this warmest of family homes, airs and graces left at the door. You’ll love exploring the many delights, including Victorian bathing pools by the shore and the appealing café hidden in the grounds. 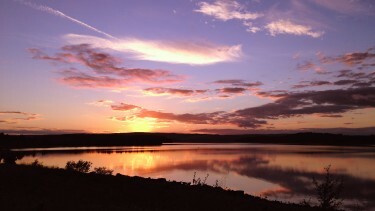 Head in to Tobermory for dinner, then, should you fancy it, enjoy a dram in the library before bedtime. The perfect way to round off your day. 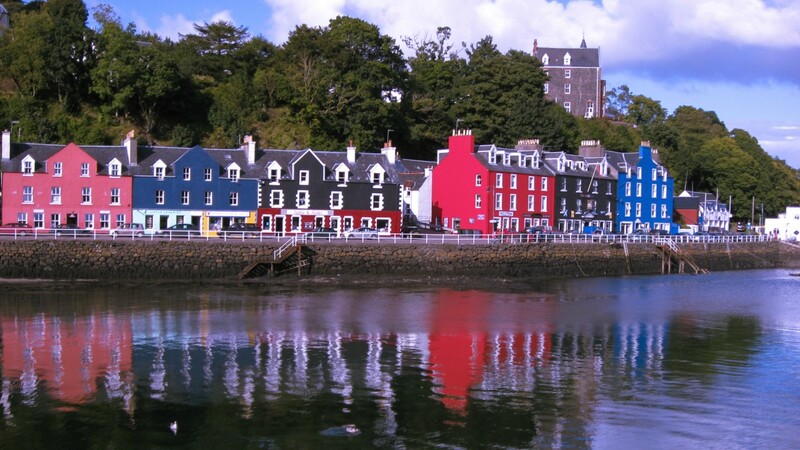 A choice of activity today: Meeting at Tobermory after breakfast, you’ll head out on a day-long wildlife safari as part of a small group with hugely experienced, gregarious local guides. On-board telescopes help guests experience the best views of wildlife in its natural habitat, possibly including otters, white-tailed sea eagles, golden eagles, short-eared owls and hen harriers. Alternatively, take an exciting boat trip to the dramatic island of Staffa. On the crossing, watch out for minke whales, seals, dolphins and porpoise. As the intimidating basalt columns hove in to view, look out for the colony of puffins that call the island home in summer. Weather permitting, disembark and head for the entrance to legendary Fingal’s cave – an unforgettable sight. Wave goodbye to Mull this morning with a return ferry-crossing, this time from Tobermory to Kilchoan on the Ardnamurchan peninsula, the UK mainland’s westernmost point and one of Europe’s last great wildernesses. The drive through this landscape is one of Scotland’s best, as the road undulates through vast vistas and tiny hamlets, carrying you to Ardgour for another short ferry-crossing to Corran. 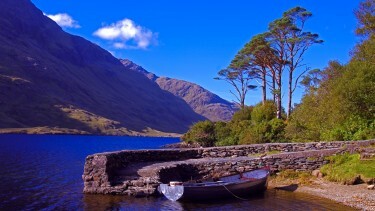 From here, enjoy a second bite of the Glencoe cherry and make your way in to the Trossachs and your next base. Another of our longstanding favourites, the exterior of this pink-painted farmhouse gives little clue to the delights within its walls. The energetic family owners have created a romantic retreat and world-class gastronomic experience, where the traditional and antique are skilfully matched. 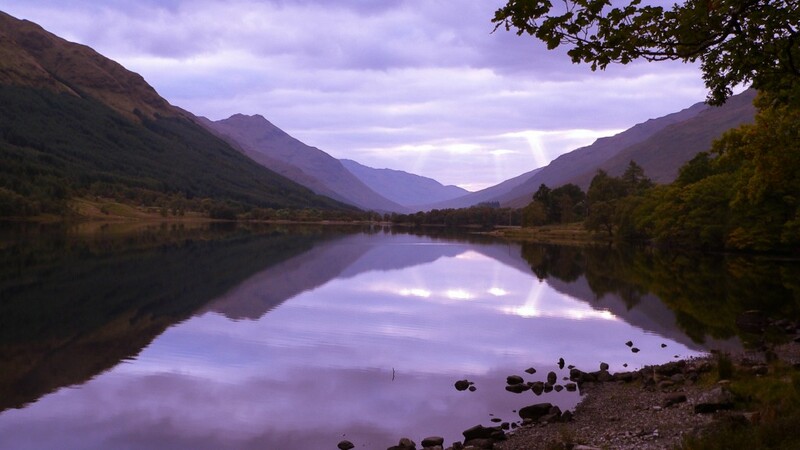 And let’s not forget the breath-taking scenery right on the doorstep, including two of Scotland’s prettiest lochs and a pair of the country’s highest peaks, where red deer and grouse wander by, and red squirrels frolic in this sprawling Highland estate. 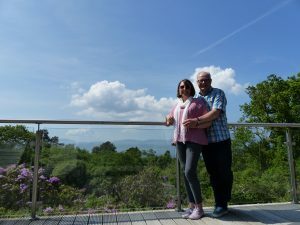 After the finest of breakfasts this morning, you’ll be met by another of our specially chosen local guides and taken on a great day out around the Trossachs, Perthshire and the Southern Highlands. Your guide will be happy to tailor the day to your wishes. 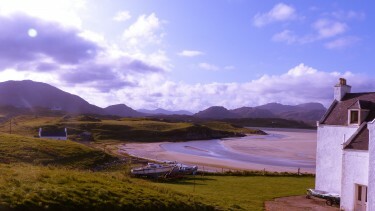 Expect to escape far from the traditional tourist routes in this glorious part of Scotland. At lunchtime, you’ll be dropped off at a secluded spot to enjoy a gourmet Champagne picnic, expertly prepared especially by the hotel. 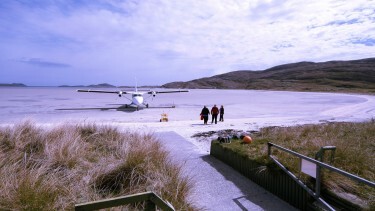 One of our favourite things to do in the whole of Scotland. Admittedly, leaving your hotel this morning will be a wrench but you have a treat in store tonight. Making your way south towards Stirling, you’ll skirt the eastern edge of Glasgow, through Dumfries and Galloway and into England, finally arriving in Northumberland, to another wonderful castle hotel – this time in Hadrian’s Wall country. We’re often asked about castle hotels, and this is one of the finest; a medieval marvel set in a rambling woodland estate where resident peacocks rule. Historic features have been expertly incorporated into supremely comfortable rooms, blending perfectly with every modern convenience. After breakfast each day, guests are invited to join a guided tour of the castle, including 360° views from the battlements. In the evening, dinner is as relaxed or as formal as you wish, and there can be no more dramatic place for a nightcap than the magnificent drawing room. 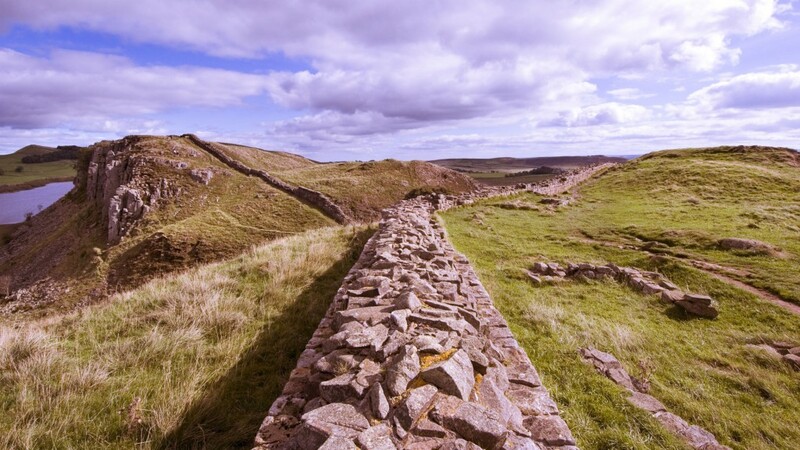 Stretching 80 miles coast to coast, the engineering marvel that is Hadrian’s Wall once represented the Northern frontier of the mighty Roman Empire and is, in our opinion, one of the UK’s most fascinating visitor attractions. This morning you’ll be met after a fine castle breakfast by our specially chosen local guide, who will whisk you away for a private tour. During your outing, you can choose two museums to visit, mixing these with walks along the most spectacular sections of the Wall. Northumberland National Park’s most rugged moorland views are all around and brought vividly to life by your expert guide. Lunch is at an atmospheric local inn, or you can picnic by the Wall – the choice is yours. Just a 40-mile drive across North Pennines National Park this morning, and in to the UNESCO World Heritage-designated Lake District. 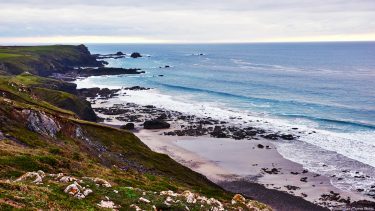 A magnet for walkers and holidaymakers from all over the UK and Europe, it can be a challenge to get away from the crowds here, but we believe we’ve found the perfect way to experience this most beautiful part of England. 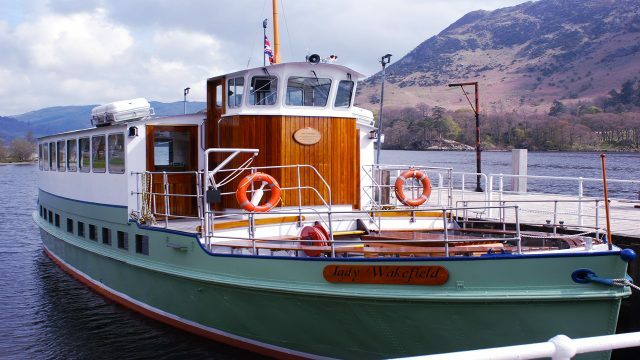 You’ll enjoy a day out on Ullswater Lake – commonly appreciated as one of the prettiest. Catch the steamer at the village of Pooley Bridge and relax as it carries you to Glenridding, Howtown, Aira Force and back. You’re free to hop on and off all day. Perhaps explore the foothills of Helvellyn – at 950m, England’s third-highest peak – or the spectacular waterfall at Aira Force, working up an appetite for dinner. Set just moments’ walk from the shores of Ullswater, this family-owned gem has recently undergone a complete transformation and garnered plaudits for the quality of its food and the contribution it has made to life in the village. With just seven stylishly appointed rooms, it is a super place to unwind. The bistro-style restaurant serves the very best expertly-prepared local produce, while regularly-changing local guest ales are on tap. After a fine Lake District breakfast, it’s time to take to the road again. Crossing the border, you enjoy an immediate sense of ‘otherness’, with bilingual road-signs the first indication that you’re entering a different land, where life moves at a slightly alternative pace. In North Wales, you’ll hear the distinctive brogue of the Welsh language being spoken just about everywhere. You could choose to take a detour in to one of the coast’s delightful seaside towns – perhaps Conwy with its historic walls and impressive castle, or nearby Llandudndo, a classic and colourful resort, and gateway to the Great Orme peninsula, with its unique, Victorian-era cable-car. Later, make your way through Snowdonia National Park, amidst soaring peaks served by a funicular steam railway and impressive slate-works that appear to drip from the sides of the mountains, through evocatively named towns and villages like Llanrwst, Betwys-y-Coed, Blaenau Ffestiniog and Penrhyndeudraeth, finally arriving at the fairy-tale village of Portmeirion. Little can prepare you for the sight of Portmeirion, the ‘idea village’ designed and built in the early 20th century by visionary architect Clough Williams-Ellis. Clinging to the side of a cliff, overlooking the beautiful Afon Dwyryd estuary and painted in a carefully chosen palette of bright pastels, this is one of the UK’s most arresting locations and a quite wonderful place to spend some time. Designed as an integral part of the village itself, your hotel exudes the style and glamour of the 1930s. Simple, stylish rooms, most with views of the estuary, give way to extensive guest lounging both indoors and out. It’s easy to find a hidden nook to take yourself away to enjoy a local gin and tonic while admiring the view. In the restaurant, housed in a quite spectacular deco-esque dining room, you’re served the very best local produce by Welsh-speaking staff, for whom nothing is too much trouble. Portmeirion village is closed to the public by evening, though hotel guests are permitted to wander its streets, terraces and square – a quite special experience, particularly after dark. Today, you can choose to drive to Porthmadog, or leave the car behind and avail yourself of the Portmeirion shuttle to nearby Minfordd station where you can take a 10-minute train ride to Porthmadog. Here, catch the Welsh Highland Railway steam train for a two-and-a-half hour trip through splendid Welsh scenery to Caernarfon. Along the way, you’ll enjoy first-class travel in vintage Pullman-style comfort, with access to a wonderful viewing carriage toward the rear of the train and catering and drinks service at your seats throughout the journey. At Caernarfon, you’ll have time to explore the impressive castle, whose ‘pumped up and muscle-bound’ appearance was designed to be as intimidating as possible, as King Edward I threw his weight around to ward off prospective invaders. Inside, you’ll find an interesting museum, telling the story of Welsh soldiers’ service to their country over the centuries. Return to Porthmadog and head back to Portmeirion for your final-night’s dinner. 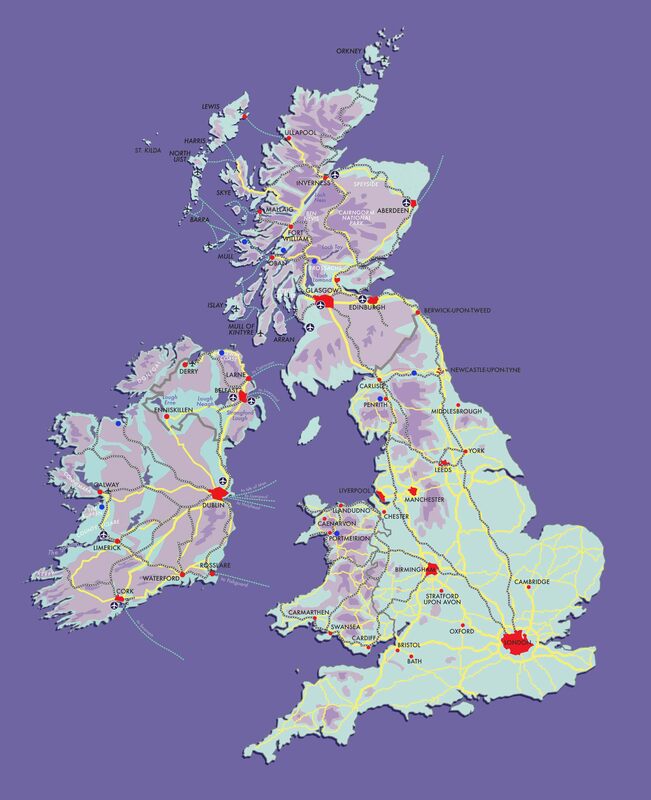 We’ve arranged for you to drop your rental car at Manchester Airport, from where you can wend your way home by train or plane, no doubt debating your personal highlights from your best of Britain and Ireland trip. Of course, all McKinlay Kidd holidays can be tweaked and tailor-made to suit your specific requirements – maybe with alternative starting or ending points, or extending with stays in the cities of Dublin, Belfast, Edinburgh, Glasgow or London. Just let us know. This holiday begins with a flight from London or Manchester to Belfast for two nights in Northern Ireland, then crosses into the Republic of Ireland for three nights before a flight to Edinburgh and five nights in Scotland. It then continues with thee nights in England and concludes with two nights in Wales and the return of the rental car to Manchester Airport. However, starting and finishing points can be tailored to suit your plans. £3775 per person in April & October, £3885 per person for May & June, £3975 for July, August, September. 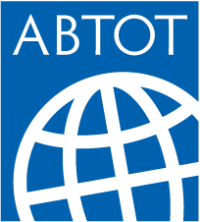 This holiday can be arranged from April to October.